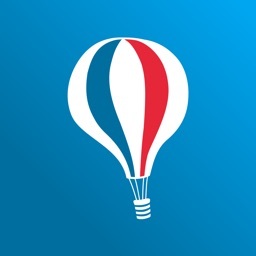 Boost your creativity and brainstorm new ideas with this productivity app. Feeling stuck? Need a boost of inspiration? 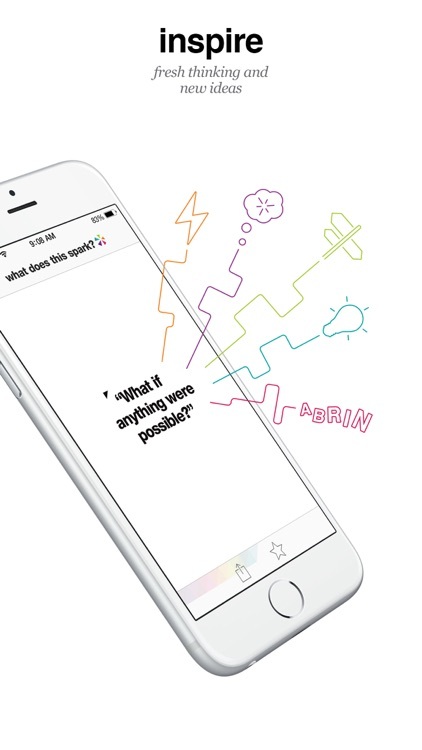 Whether you’re facing a challenge at work, in life or with your creative projects, now you can trigger an endless supply of fresh ideas in one easy-to-use app. 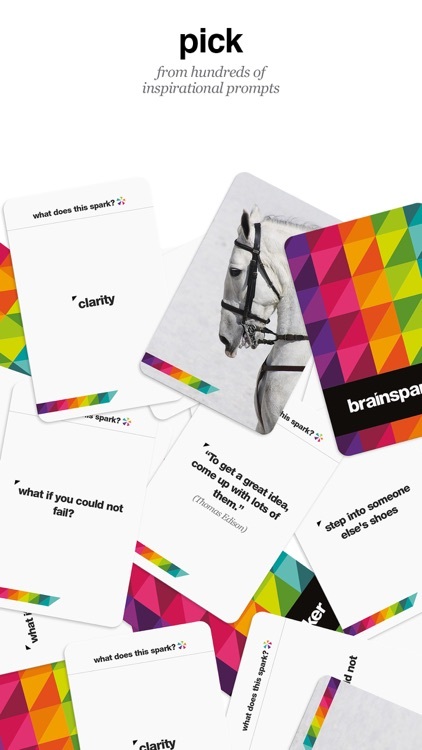 Hundreds of thousands of people are already using our random prompt cards to overcome blocks, boost creative thinking, brainstorm new ideas, inspire creative writing/journaling and spark innovation. It has so many different applications that it can be used by everyone from coaches and teachers to writers and business managers. 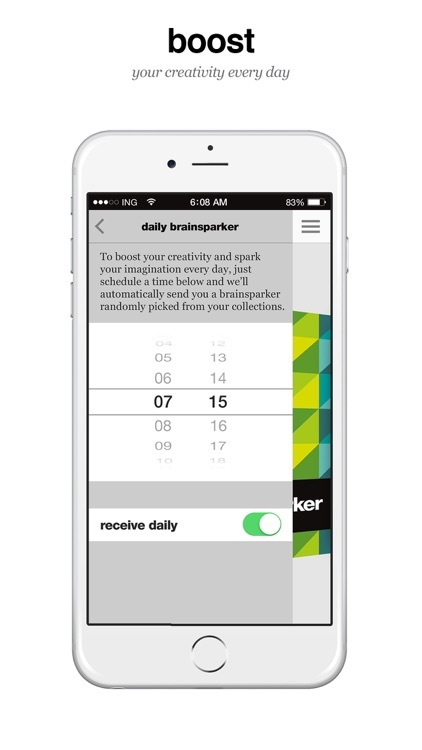 What you get out of Brainsparker is entirely up to you. It's meant to spark inspiration; it won't make your decisions for you. 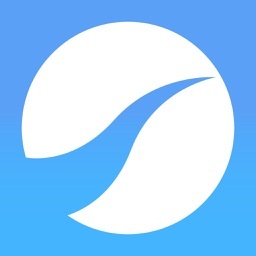 If you need a spark, this is your app. You’re able to receive daily reminders to get your brain juices flowing, and the best part is, you can now view cards on your Apple Watch. 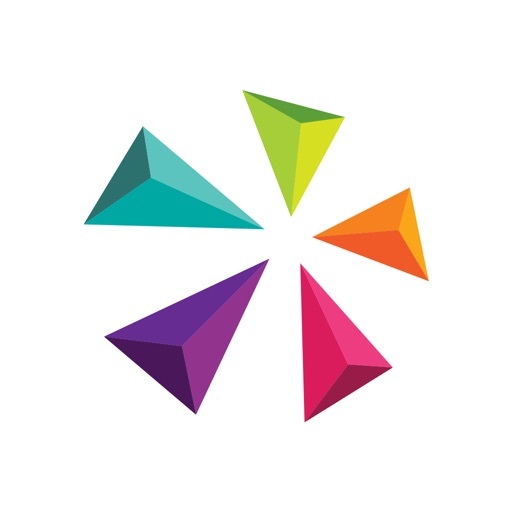 Developed by our creative thinking & innovation experts at the brainsparker academy, it’s just like having your own creativity coach on call 24/7! (FOX NEWS) "Go ahead and try it. Who knows what you might come up with?" (NEW YORK TIMES) "Use it to tickle your brain early on a dreary Monday morning with a random interesting idea." 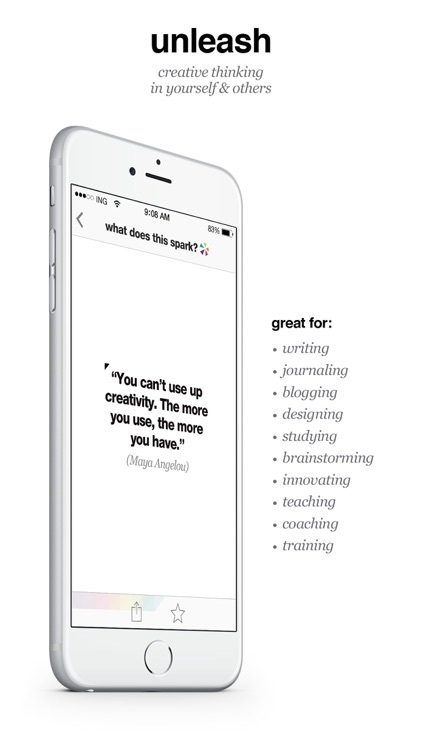 (APPLE FEATURE) Recommended in “Today,” and as a top “writing and journaling” app in over 25 countries. 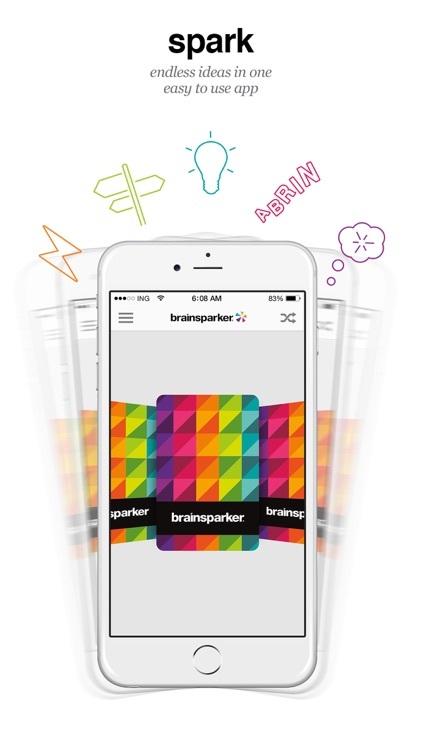 Brainsparker works just like a pack of cards. If you’re feeling stuck or facing a creative challenge, just call up brainsparker, shuffle the cards and tap on your screen to reveal a random prompt. Then sit back and watch how it sparks new ideas and unblocks your creative mind. (ENTREPRENEUR.COM) "Get rid of the brain rut and polish the creative side of your brain." 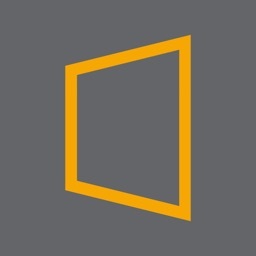 (DESIGN MILK) "...ignites the corners of the brain into creative action and inspiration." (CREATIVE BLOQ) "Sometimes you need a bit of randomness to generate the right creative ideas." 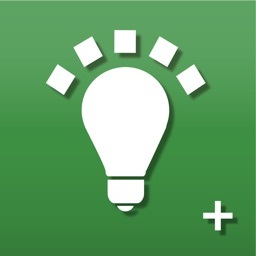 *VIP PASS: Ideal for the "power user" giving you access to all our current and future in-app packs. And more packs coming soon! We value your feedback and questions so please email us at [email protected] We do listen, and we will get back to you! 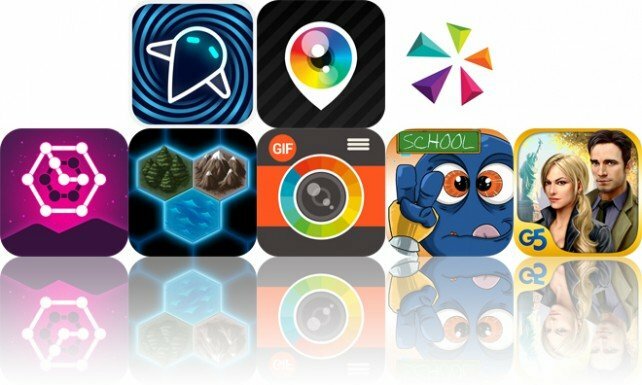 Today’s AppsGoneFree list includes a tower defense game, a productivity app, and a puzzle game.